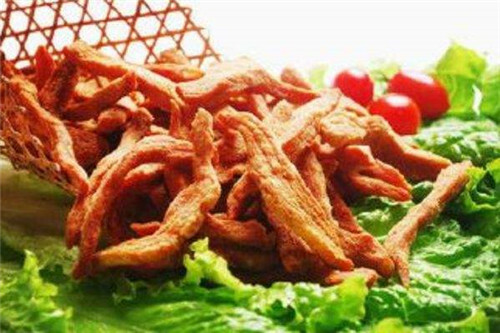 Pork greaves is a characteristic food in Qingdao, it is easy to make and rich in nutrition and flavor. The trick of this dish is to fry the streaky pork with more fat which has already been marinated with salt and MSG to ready the meat for skimming and drying. Then it is ready to eat.